Gluten is the protein found in some grains like wheat, oats, barley and rye. It can create problems in the body like gut upsets and inflammation, poor absorption of nutrients and aching joints or fluid retention. The gluten protein basically punches holes in the gut and gets inside and creates inflammation in your tissues of your body and some organs. At its most severe when the gut has actually been destroyed or flattened due to damage from gluten we call it “coeliac disease” and when you look inside the small bowel of someone with coeliac disease you see flat “villi” (little fingerlike protrusions that help absorb the food) and you see poor absorption of iron, B vitamins and minerals on the blood tests. Over the years I have seen patients with hair loss, skin rashes and bone thinning due to coeliac disease undiagnosed. What is much more common is for a person to be “gluten intolerant” and have problems with digesting gluten. Especially these days when we bake bread very fast and don’t give the gluten a chance to break down; also some wheat has been bred to be rich in gluten so the bread is more bouncy or glue like as a dough. If you eat wheat and notice you get sore abdomen, bloating, tired, aching, period pains (for females) or get foggy in your thinking you might like to try gluten free diets. Even arthritis and sinus sufferers sometimes benefit from gluten free and certainly children on the autistic spectrum often do better on gluten free diets. Gluten acts like “morphine” in the body. Morphine is that strong pain killer from poppy plants that is known as an “opiate” and works in the body to put you to sleep, dull pain and senses. Have you ever seen someone go to sleep after a big feed of wheat or sandwich or pasta? I hear a lot of reports from patients “I lost several kilos weight and fluid retention improved when I went gluten free”. So what is “gluten free”? It means taking out wheat, barley, oats and rye. Some people find taking out wheat does the trick and they can still eat porridge etc and some find they need to take out all gluten even hidden sources of gluten like soy sauce, sauce mixes, processed foods, soups, anything with traces of wheat to really feel well. It can take several months to really clean it out of your system and feel really well, but it is worth persisting if you have signs on your blood tests or symptoms of having a problem with gluten in your diet. Try it and see. All vegetables, all meats, all fish and shellfish, grains: buckwheat, rice, amaranth, millet and corn flour. Tapioca is okay. Tamari is a wheat free soy sauce. Soy is okay in the sense it does not contain gluten. 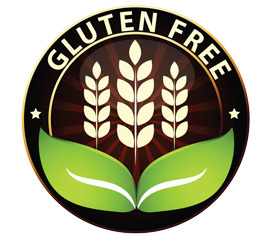 Many products are now labelled “gluten free” so look for this. Most people say to me “ gluten free bread is so boring or so expensive”, but if you look around you will see there is more and more on the market that is gluten free and more tasty. More gluten free loaves are around and more choices so it is worth checking in your supermarket or your local wholefood store. My personal favourites are Venerdi brown rice bread or six grain bread gluten free, but there is a cost factor. Some patients save costs by making their own with a bread maker and some patients are losing weight and staying off bread anyway so that is another approach you can try with the “paleo” or bread free simple diets with vegetables and proteins, nuts and seeds and some seasonal fruit, water and so on. I can help you check on blood tests to see if you have a gluten reaction. There are free tests we can do locally with Labtests and some that cost money and get sent off to the USA via Fx Med Biotek testing. Either way I am happy to go over options with you and discuss whether gluten free might be an option to help improve your overall health outcomes.